Simple skin tight t-shirt to layer under dresses and tops and stuff. Comes in 30 of Anna's New Colors because it seemed like a good range. 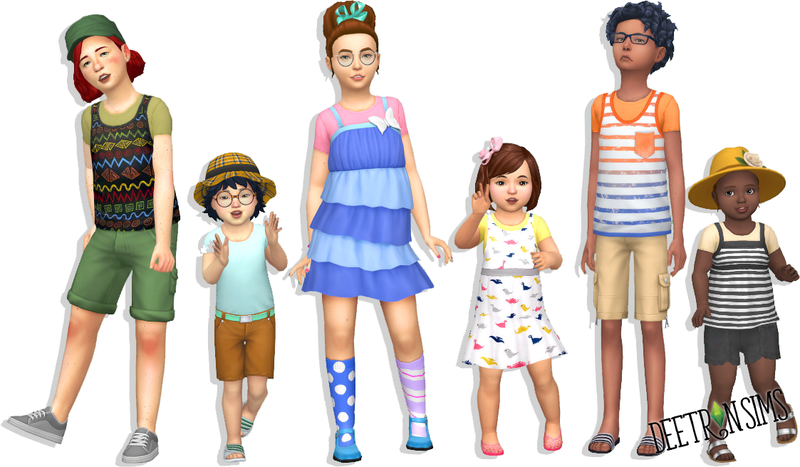 They all have custom thumbnails and appropriate texture maps- this version the kids and toddlers are independent so you can have one or the other or both or none I'm not your dad.